Brussels attacker shot and killed, Republican wins key Georgian election, and CAR violence escalates. 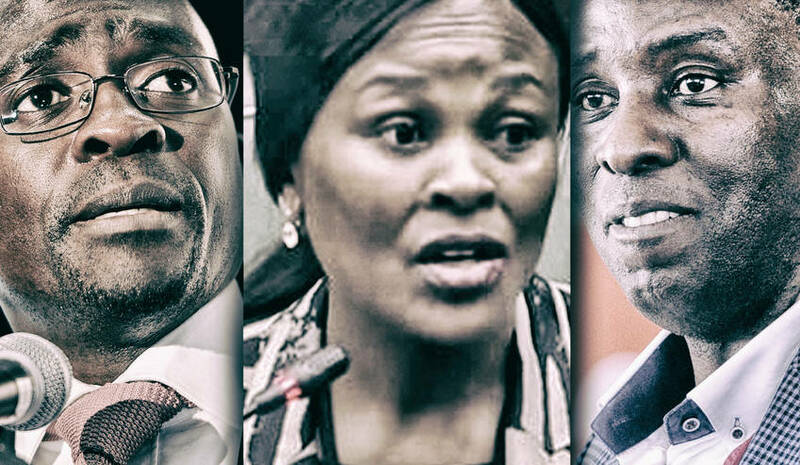 You have to hand it to Public Protector Busisiwe Mkhwebane – she took her time before dipping her toe in the firepool but certainly made a big splash when she jumped in. Her recommendation that the Constitution be amended to change the mandate and role of the South African Reserve Bank caused widespread shock and wreaked havoc on the markets. So what is the agenda behind this manoeuvre and are other people involved? Former Reserve Bank Governor Tito Mboweni rang the alarm bells, imploring that the “Dogs of War” not be unleashed on the country. But how else will the state capture project be protected if not through abusing the state machinery? A man shouting “Allahu Ackbar” and detonating a small explosion was shot and killed by soldiers in Brussels. The suspect was killed in Brussels Central Station following the detonation. He had entered the station wearing a rucksack and explosives belt. No fatalities other than the attacker were reported. At least 40 people were killed in Central Africa on Tuesday. Fighting between ex-Seleka and “anti-Balaka” militia in Bria saw an additional 43 people injured along with the deceased. The violence comes just one day after a ceasefire had been signed between the government and rebel groups. Evidently, nobody told the citizens of Bria this. Republican Karen Handel has defeated Democrat Jon Ossoff in a special congressional election. Seen as a referendum-equivalent “gut check” on public opinion for President Donald Trump, the traditionally conservative population appeared happy to vote in Handel. Handel’s victory ultimately signals the continuing disarray that seems to be plaguing the Democrats in 2017. Step aside #Rhodesmustfall, Croatia is taking to the history-scrubbing forefront. Zlatko Hasanbegovic, a leader of the recently-formed Independent for Croatia party, is seeking to erase the Communist dictator’s name from Marshal Tito Square in central Zagreb. Tito is viewed as a saviour to some and a terror to others and the Tito-renaming is pulling Croatians into a debate that South Africans are a few years ahead of. You can almost hear the sound of local consultants furiously packing their keffiyehs for Zagreb. The dollar cost to run a hot dog stand in New York City in 2013. Today is World Hydrography Day. Chart your ocean today! “William Turdsworth” was Lord Byron’s nickname for William Wordsworth.